Recently, on my Perfect Timing column on Forbes.com, I wrote about the newly released Cartier high-jeweled masterpieces that were created using rare Colombian emeralds, here we repost that article. It was more than 40 years ago, back in 1975, that Mexican actress María Félix, known for playing exotic femme fatale roles, marched into Cartier’s Rue de la Paix, Paris, boutique with a baby crocodile in an aquarium. 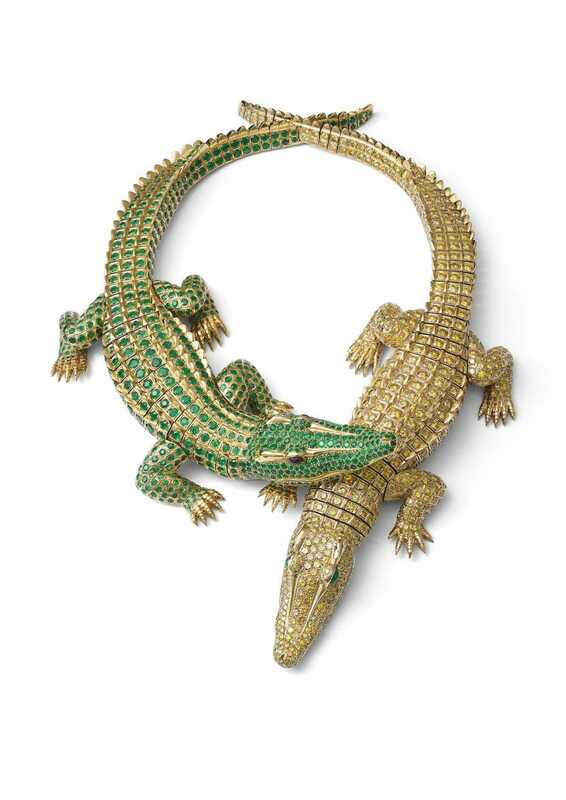 The reason the reptile accompanied her: Felix wanted the brand’s jewelers to replicate the crocodile face, head, body, legs and tail as closely as possible in a special necklace for her. 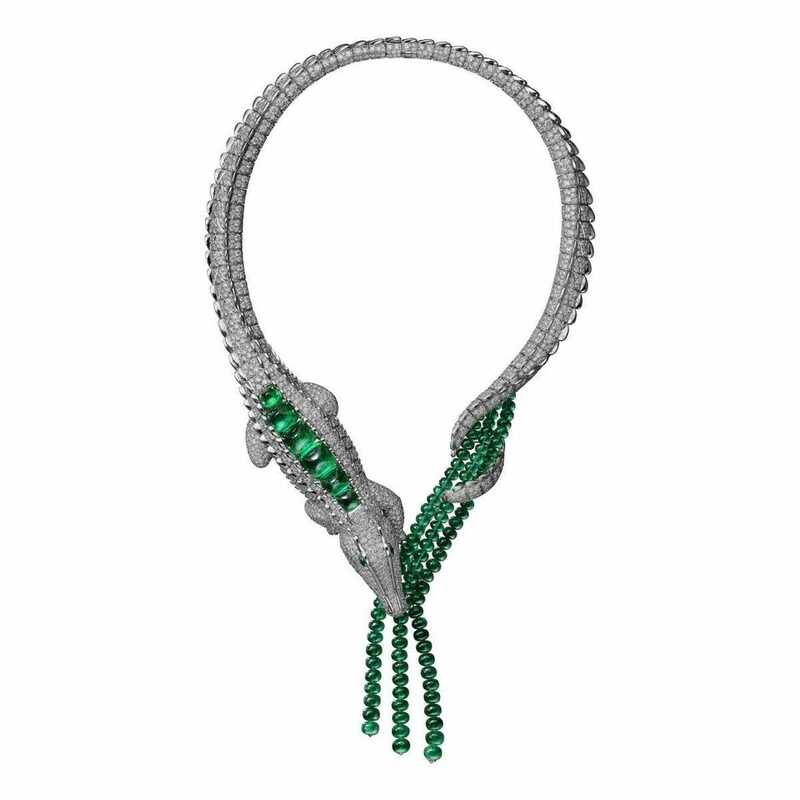 After careful study and much sketching, Cartier’s incredible artisans masterfully executed a necklace consisting of two articulated crocodiles that hugged the neck and that also could be removed from the neck and worn separately as brooches. The two crocodiles comprising the necklace included one crafted in 18-karat yellow gold and meticulously set with more than 1,000 brilliant-cut fancy intense yellow diamonds weighing 60.02 carats. 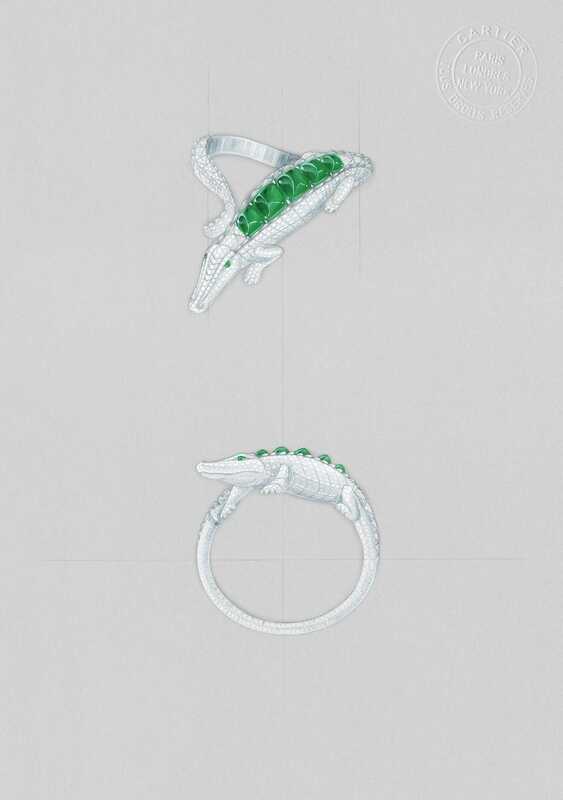 The second crocodile was sculpted in 18-karat white gold was set with 1,060 emeralds totaling 66.86 carats. The crocodile eyes were set with rubies for one and emeralds for the other. Maria Felix loved the necklace and wore it for years. Today, that original necklace is part of the brand’s Cartier Collection of exquisite historic jewels. 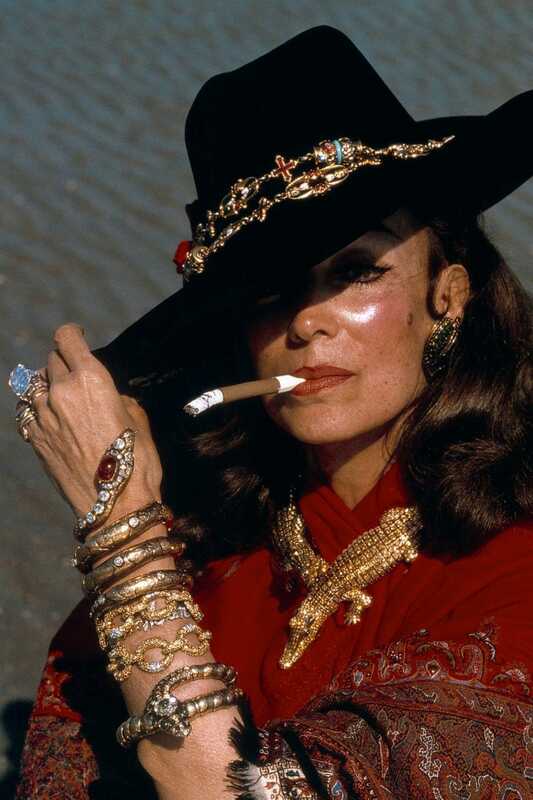 However, it is such a beloved creature and mystical piece that Cartier has opted to pay tribute to that necklace and the bold actress, by releasing four high-jewelry Cartier Maria Felix executions– each a one-of-a-kind work of wearable art. The same sculptor who created the historic necklace worked with Cartier again to create the new jewelry set of four exceptional pieces that comprise rare emeralds from Colombia. In fact, the series was based around 14 cabochon-cut emeralds that total 46.65 carats and are particularly remarkable for their color, shape and quality. The four pieces that comprise this tribute-to-nature collection include drop earrings, a bracelet and ring wherein the crocodile’s body (made of diamonds and emeralds) wraps around the wrist or finger, and a necklace that reflects the original –with crocodile tail ending in three strands of emerald beads that the crocodile clutches. The necklace alone was sculpted of gold, set with diamonds and cabochons and meticulously finished –all to the tune of 1,875 hours of hand craftsmanship. Similarly, the smaller cuff bracelet took Cartier’s master craftsmen more than 1,000 hours to create. In the 1970’s Cartier began scouring the world for some of its most famed pieces, and crated the Cartier Collection in 1983 – consisting of jewelry, watches, objects of art and more that had a very important pedigree. The Cartier Collection today consists of approximately 1,600 of pieces – some of which date back as far as the 1860’s. These pieces have been on exhibit at the Petite Palais in Paris, and some have been on exhibit in the world’s finest museums, including the Metropolitan Museum of Art in New York, the Kremlin Museum in Moscow, the Palace Museum in Beijing and the British Museum in London. Some of the highlight jewels include spectacular pieces owned and worn by famous celebrities and royalty such as the Duchess of Windsor, Meriwether Post, the Maharajahs de Padilla, Kate Middleton’s tiara and more.